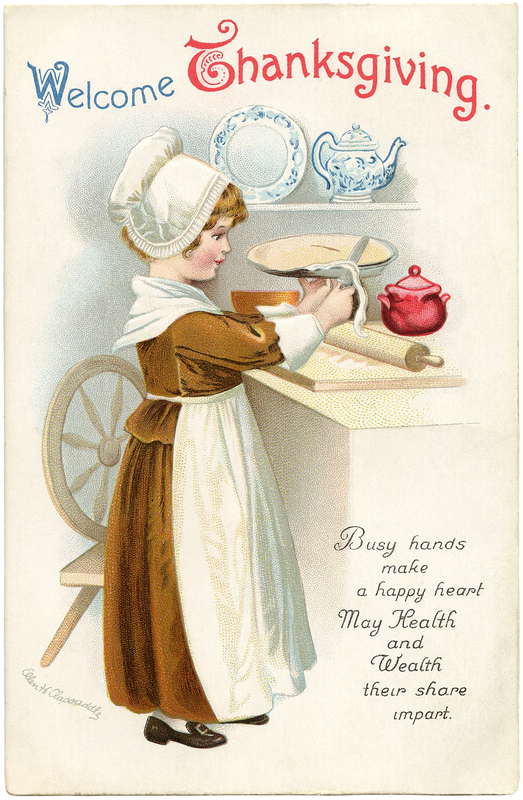 This Free Vintage Thanksgiving Clip Art is an adorable Antique Postcard! This is another one illustrated by Ellen Clapsaddle. Shown above is a sweet little Pilgrim Girl! She’s in the Kitchen and she appears to be baking a Pie for Thanksgiving. I love seeing all the little accessories in her kitchen, including the wooden rolling pin, crockery and dishes. You might also like a little Pilgrim Boy Clip Art Image, by the same artist, that I posted HERE. The two would go very nicely together for Holiday Projects! 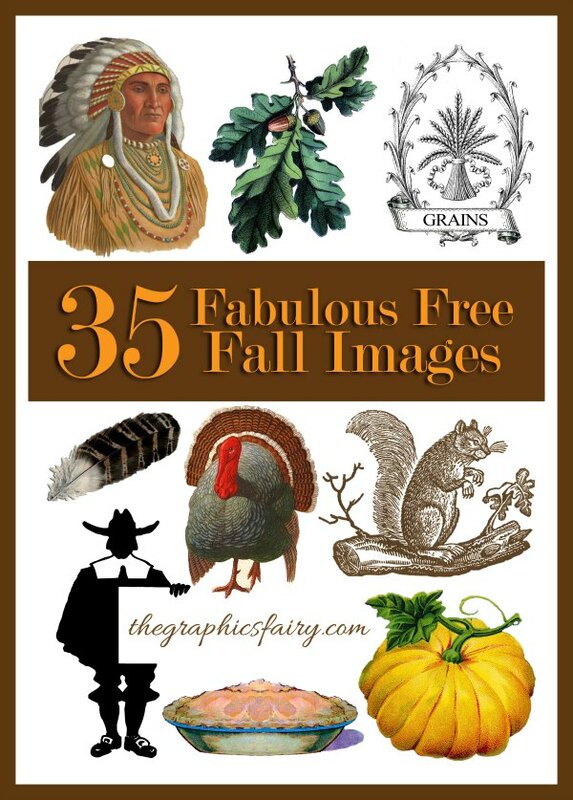 For even more Fabulous Fall Clip Art, be sure and check out the 35 Fall Images HERE! 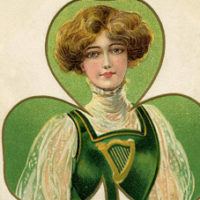 15 St Patricks Day Clip Art Ladies – Updated Christmas Card Girl Freebie – Super Sweet! Christmas Stocking Top Hat Man – Funny! I love this graphic, Karen! Thank you! She’s so cute! I love this! Thanks so much!